The finance industry is a professional field that deals with money management, investments, and the assessment of the condition of an entity’s assets and liabilities in varying phases. 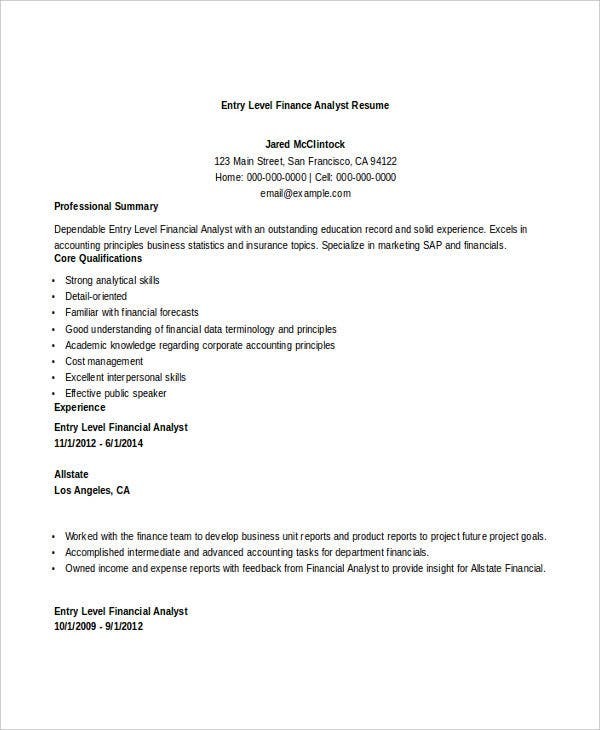 The field of finance is very competitive and creating a complete, striking and well-formatted free finance resume can truly help you in getting the attention of your prospective employer. 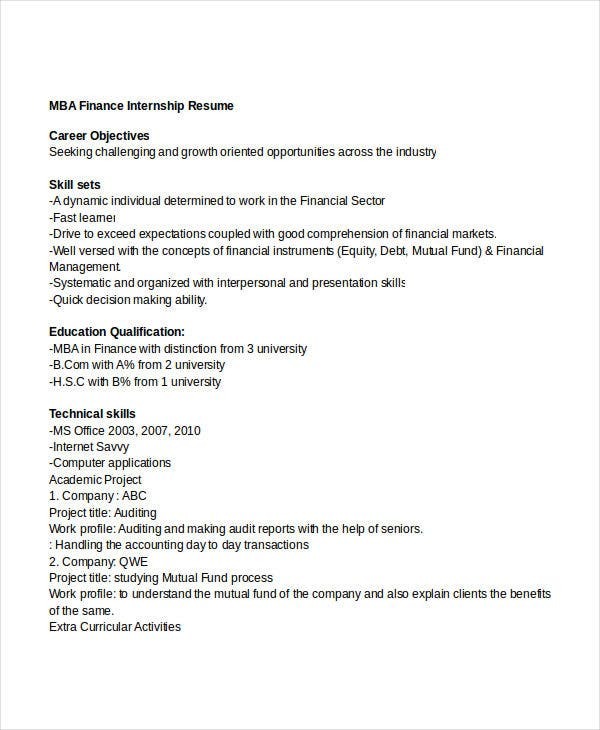 This article contains different kinds of finance resume templates and samples that can be used in applying for different professional work positions in the fields of finance and accounting. Assure that you will select the appropriate template for the specific finance work post that you are applying for. 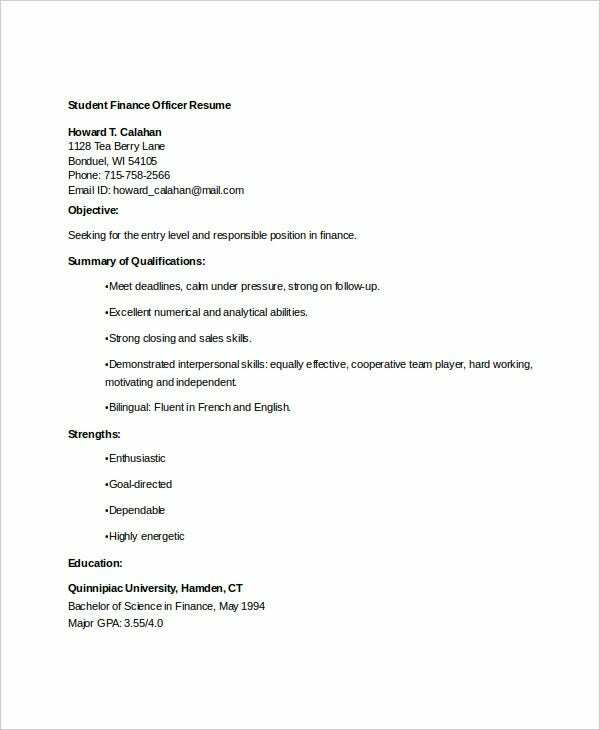 For more samples of Finance Resume Templates, refer to the provided link. 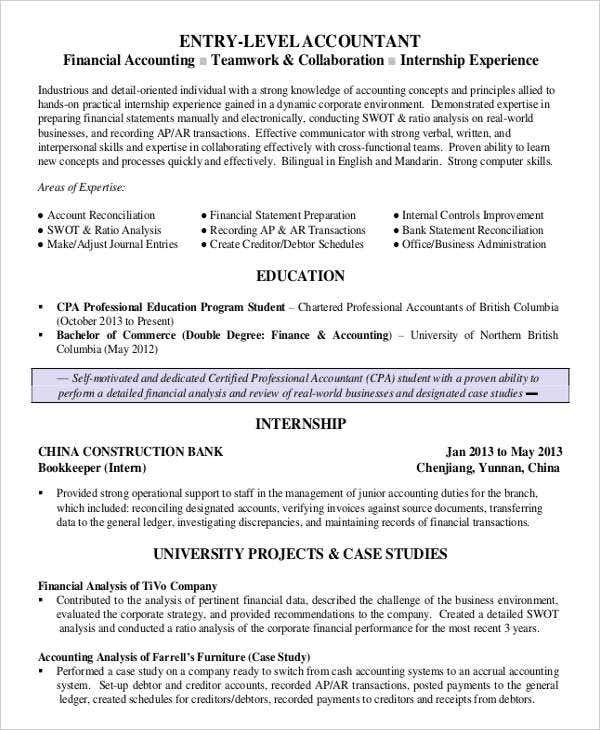 In creating a Finance Resume, it is very essential for you to identify the specific area of finance where you would like to practice your competencies and expertise. Directly targeting the area that you want to take in the field of finance can help you narrow down your selection for the job position that you would like to apply for. It identifies and assesses a public entity’s revenue sources. More so, it also pinpoints the allowed expenditure of public sectors depending on the regulations of a country or any other particular location. 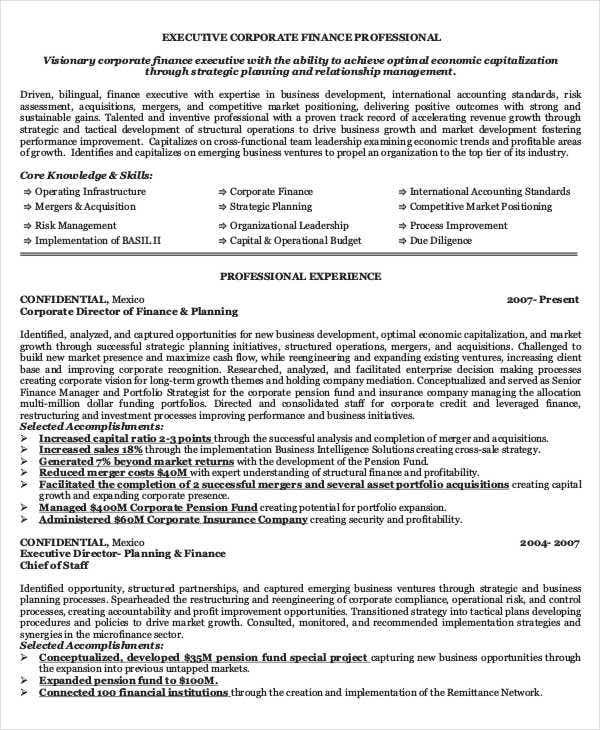 The effect of investment decisions to public entities is always considered in assuring the effectiveness and efficiency of finance strategic perspective You may also see Free Resume Templates. Personal finance is the area in the finance industry which nature of operations deals with providing personal financial planning and support to the clients of the business. Personal finance processes include the following: You may also see Management Resume Templates. 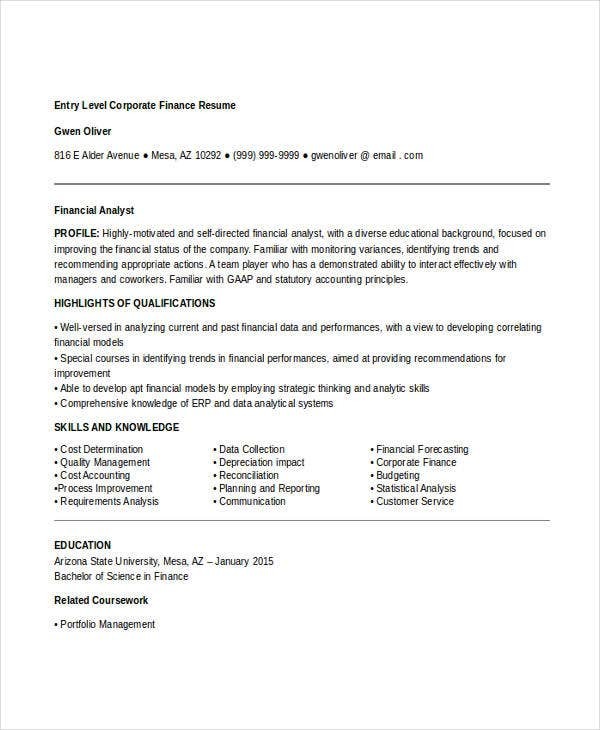 Your finance resume can be general if you want to be hired for any finance job positions in the finance area where you are applying. 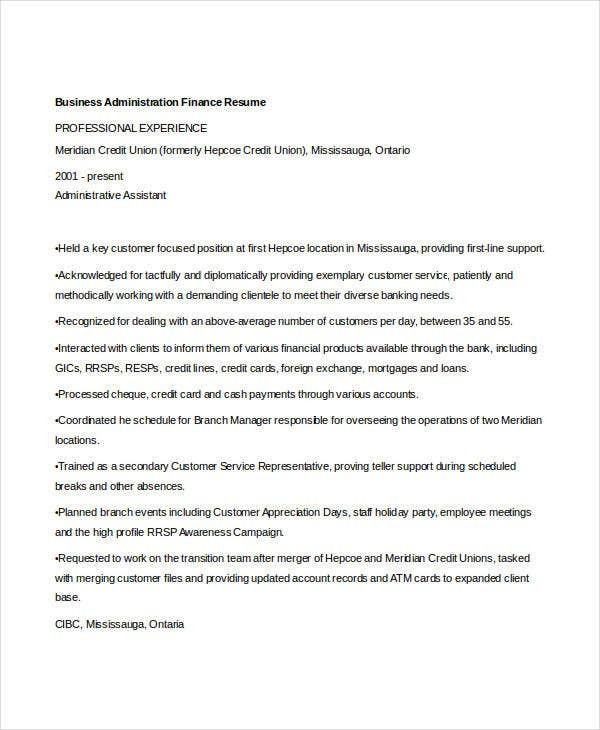 More so, you can also select to apply for a specific finance position by using a targeted Resume Format. Identify the business operations of the business sector where the financial position is open for employment. Specify the additional value that you can provide to the business by providing information about your qualifications, technical skills, abilities, and other competencies that has helped the maintenance or improvement of the fiscal health of your previous clients and/or employers. Be specific with your areas of expertise. This will help your prospective employer to assess whether you are fit for the finance position that you are applying for. Through the identification of your qualifications and professional work experiences with the guide of the above-mentioned finance operational backgrounds, it will be easy for you to know which area of finance you fit the most for employment. 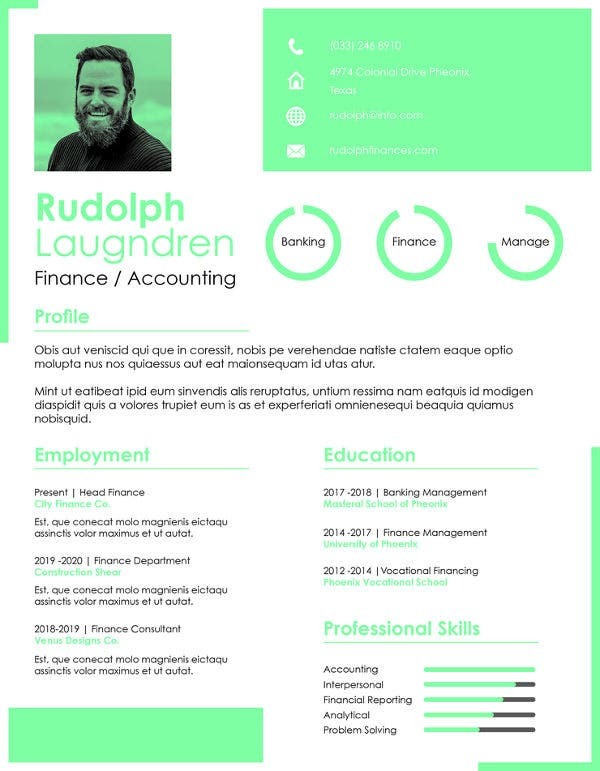 You may also see Professional Work Resume Templates. 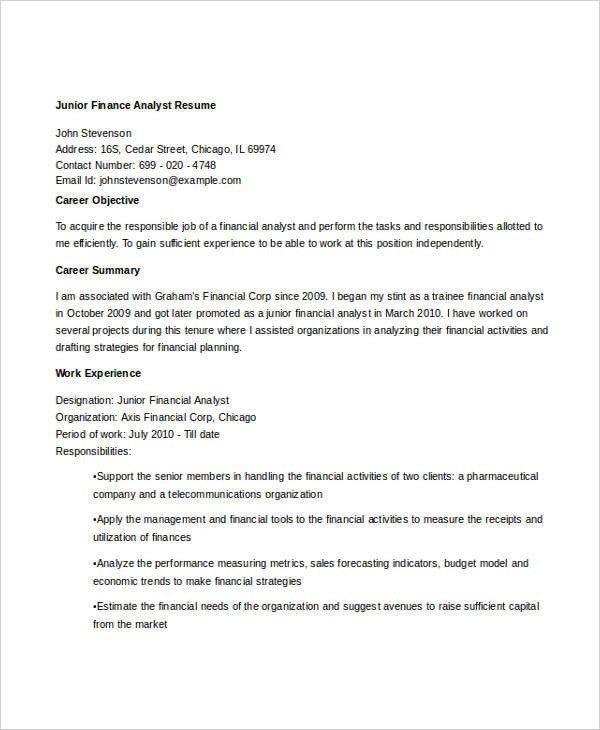 Based on the guidelines provided above, it depends on you if you would like to create a Blank Work Resume for a specific finance job position or choose to make a general finance resume so you can have higher chances of getting hired on any open position on various businesses involved in the finance industry. 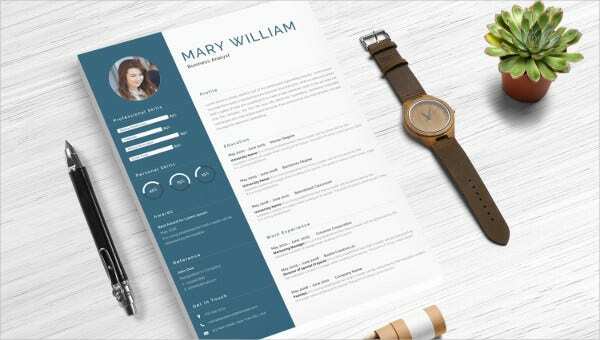 Both these resumes have strengths that you can fully maximize through the use of a well-structured Resume Format and an organized and comprehensive resume content. 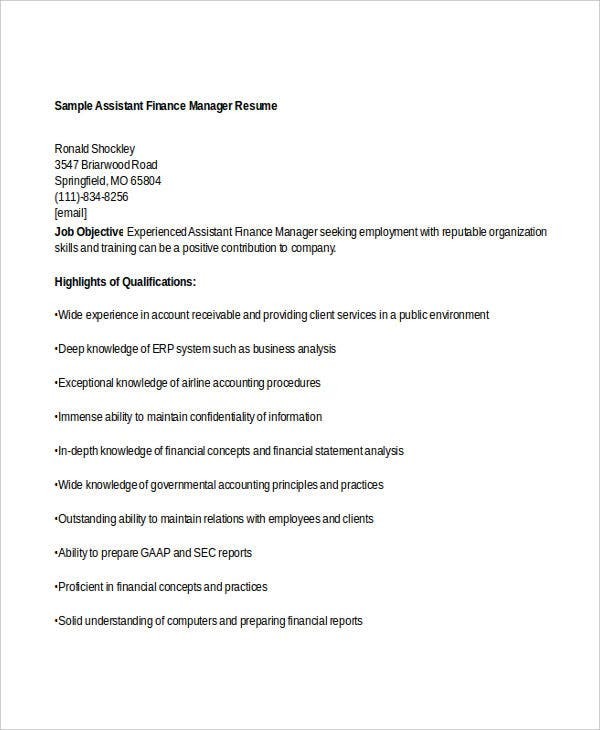 If you want to target a specific financial position, we have collected a few samples of professional work posts that you may want to try to apply at in the finance industry by using our finance resumes. 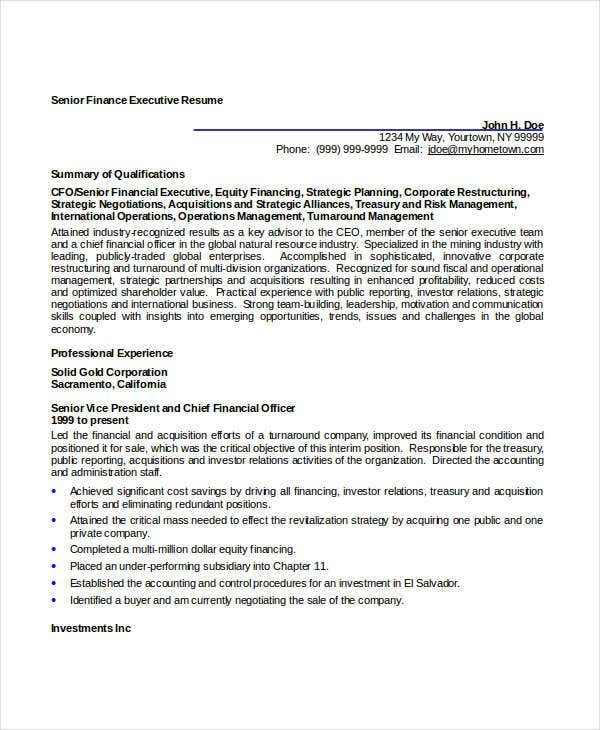 These job positions are as follows: You may also see Finance Analyst Resume Templates. A treasurer is an employee of a company that oversees all the financial transactions of a business to assure that the budget plans of the company is followed. Also, this employee is expected to oversee the efficient implementation of the financial policy of the business in all its areas of operations. 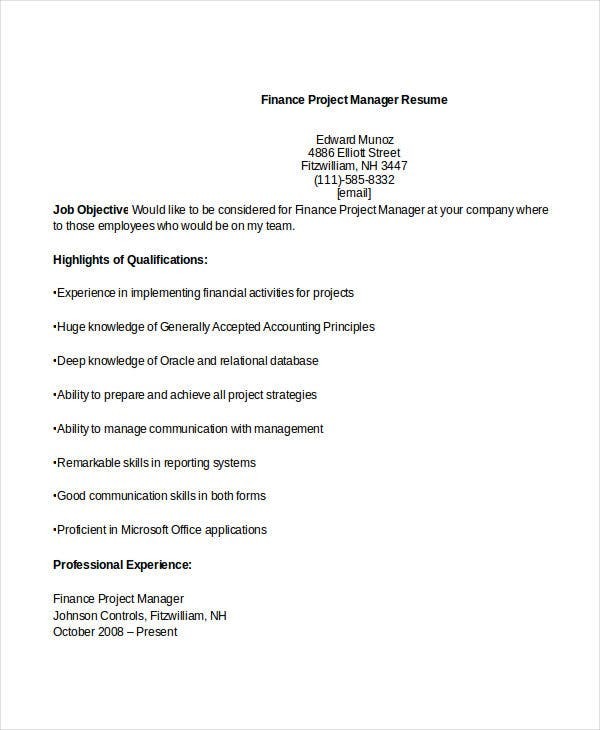 Your knowledge and expertise in budgetary projects management, effective financial resource usage, tax law compliance, and financial planning and development are very important when applying for this specific finance job position. A finance manager can work in different industries as most businesses need a finance department or division to assure the efficient usage, disbursement, and recording of the company’s cash flow. Finance managers assure that the entire finance processes of a business are in sync and that all the employees in the finance department are effective by executing their jobs and responsibilities in an appropriate phase. 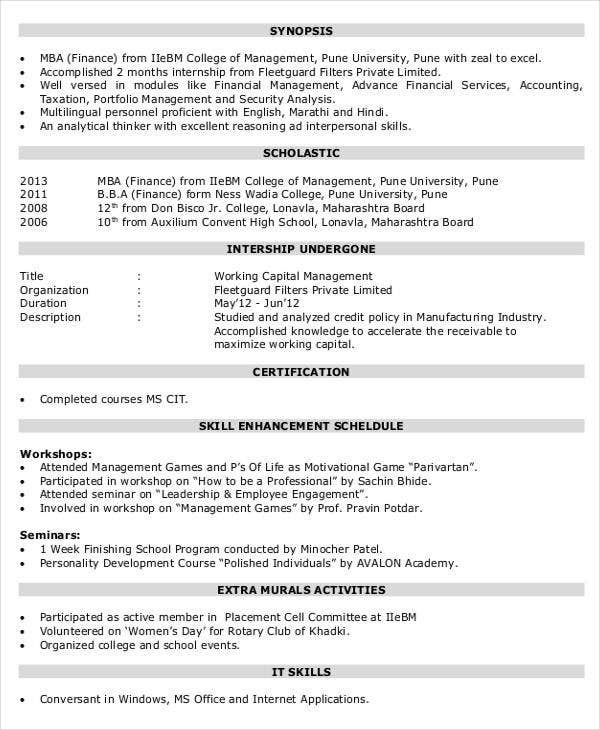 You may also see Master of Business Administration Resume Template. A personal financial adviser is an individual who helps people to further understand different kinds of personal investments, insurance policies, and other items related to personal finance. Most personal financial advisers are contacted by clients for consultations. Some personal financial advisers give focus on tax issues and mortgages but it requires a more specific educational and training background and professional experiences for you to be hired by a company for these particular functions. 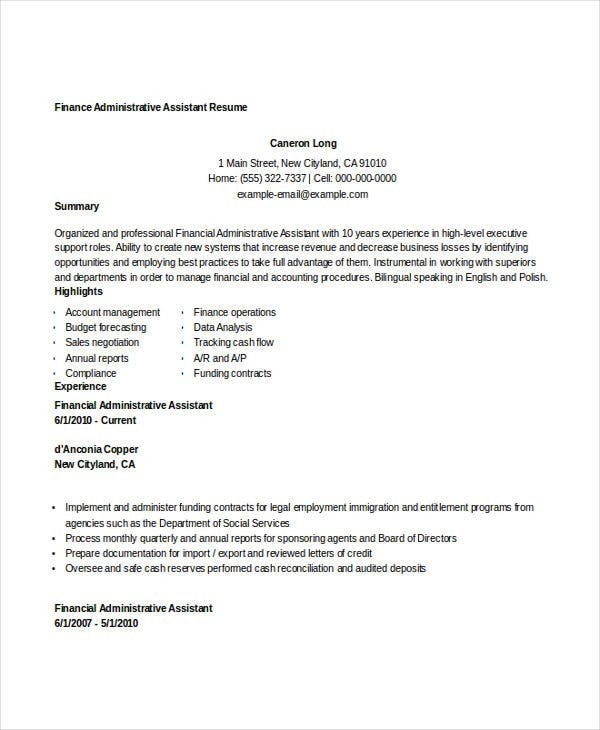 If you want to apply for a personal financial adviser; your finance resume should have a list of your certifications, licenses, attended training, and the name of the previous finance companies where you have worked. You may also see Free Manager Resume Templates. A financial consultant work post is mostly similar to a personal financial adviser work position. The only difference is that financial consultants do not only work with individuals. Financial consultants can be hired by companies and organizations as well to provide suggestions and strategies for an entity’s financial management and planning. 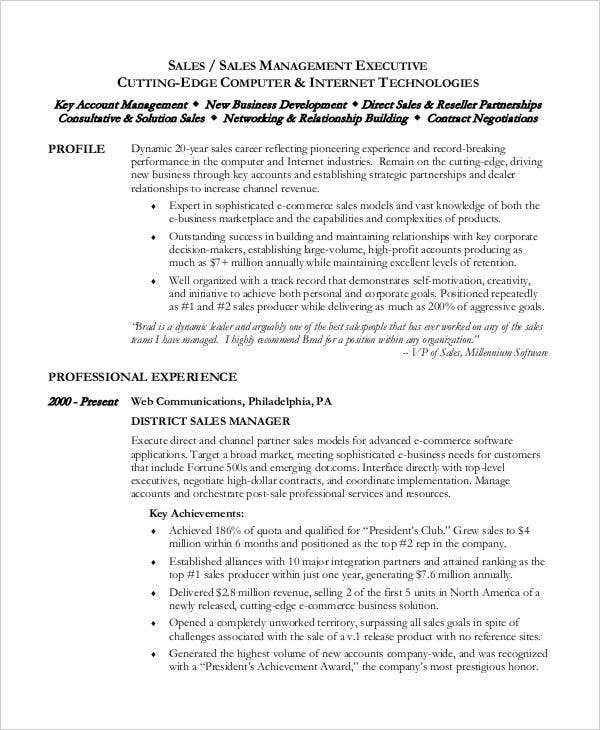 You may also see Resume Examples. 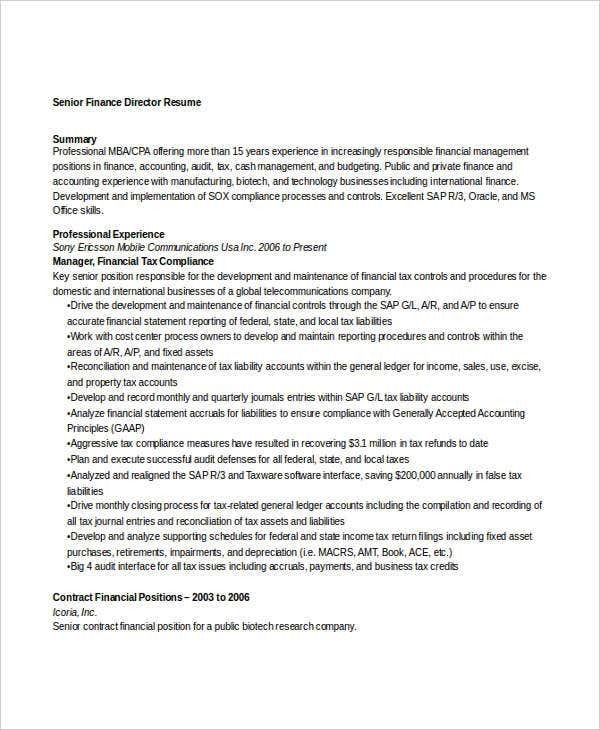 A financial consultant resume needs to have a strong foundation on your ability to understand and execute financial reporting so that your prospective employer can have an initial impression that you can provide professional and effective recommendations to the clients of the business who will seek for your financial advising services. Loan officers are hired by businesses to assess loan applications that are filed by the clients of a business. It is a part of the job description of a loan officer to professionally evaluate, recommend and approve or deny a loan application. However, these functions still vary depending on the corporate power given by particular companies to their loan officers. An auditor is the employee of the business whose main job functions include the verification and assessment of an entity’s financial report and statements. There are internal auditors that are hired by a business to assure the accuracy of their financial records while there are also auditors that perform auditing activities on a quarterly or yearly basis depending on the regulations being followed in a specific industry. 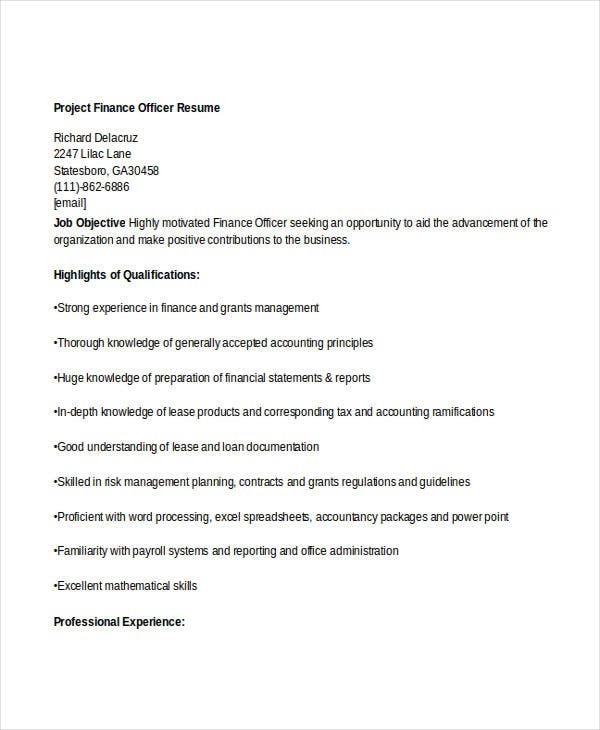 Your finance resume should be focused not only on your work experiences but also on your technical and analytical skills if you would like to apply for this finance position. There are still a lot of job position in the finance industry that you may apply it. Make sure to properly research relevant information about the job position before applying for it so you can put your energy, time, and efforts in a worthwhile application process. 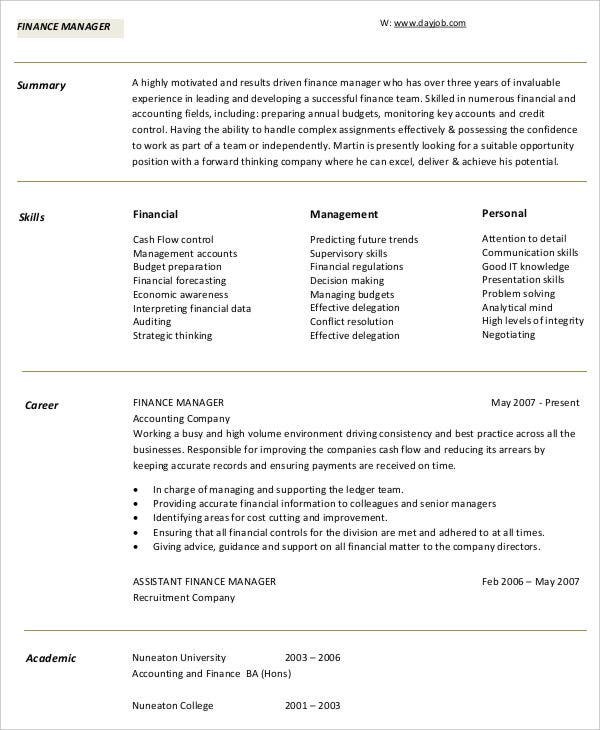 You may also see Accounting Resume Templates. Since finance is a highly technical field, your skills and qualifications that can help you to properly execute the functions of the job position that will be given to you by the business is very essential to be placed in your finance resume. 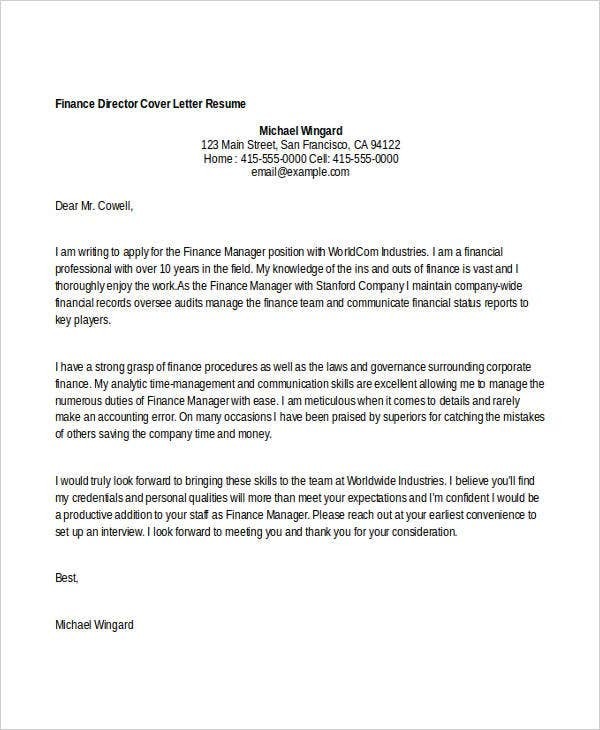 The importance of giving focus to your skills and qualifications are as follows: You may also see Finance Cover Letter Examples. It will be easier for you to find a career opportunity if your skills are already impressive. Prospective employers appreciate professional profiles that provide an in-depth information about the finance processes and systems that a candidate can execute. Your skills, certifications and knowledge areas is a reflection of your capability to help the company in achieving its goals and objectives especially those that are related to finance and accounting. Most companies do not only look on the work experiences of a candidate as skills are very important factors as well in finding a qualified candidate that can fully grasp the needs of the finance area of the business. Review the job posting that has the position that you are applying for. 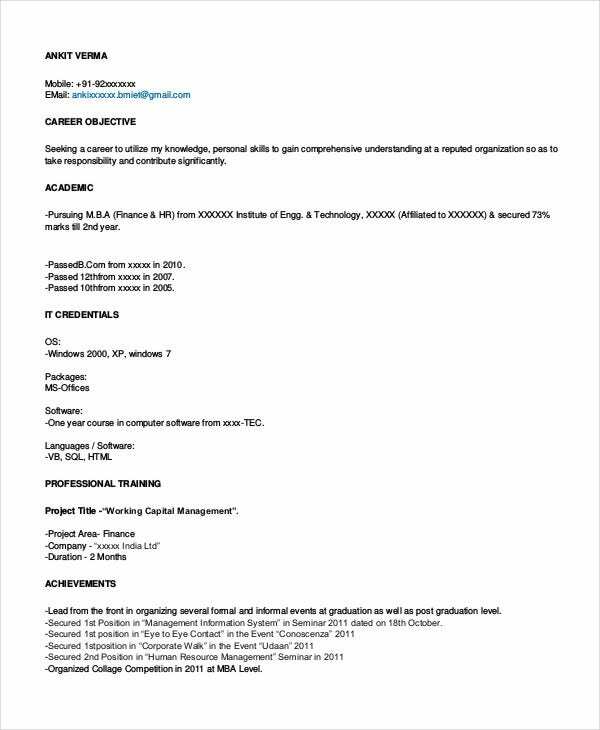 Look at the skills needed for the job and supply the skills that you have that are related to the skills set that can be found in the job requirement section of the job posting. Emphasize on your skills that are directly hitting the qualifications of the job position that you want. It is suggested for you to arrange your skills in a chronological order based on its importance on the functions of the job position that you are targeting. 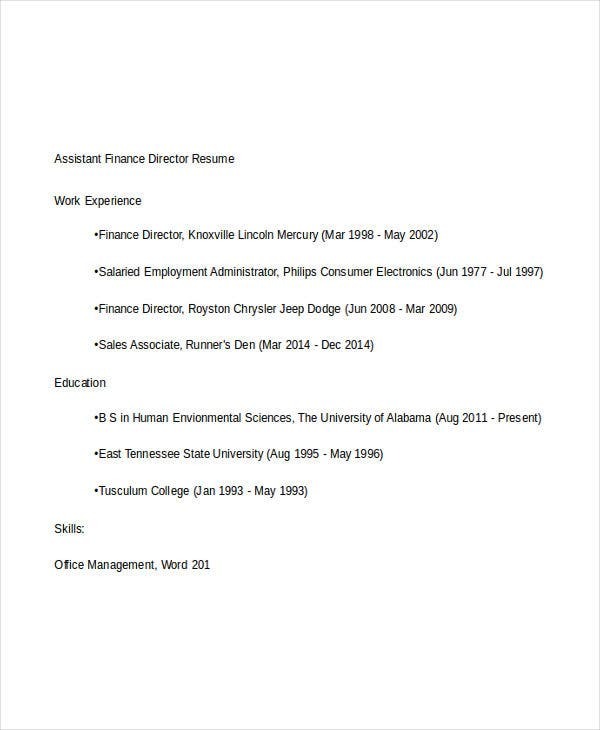 You may also see Basic Resume Templates. Your key qualifications should be summarized in an organized manner. Make sure that your competencies, abilities and skills listing will have the finance industry keywords and terms to relate your qualifications to the processes that you will be involved in should you be hired. Be specific with the knowledge that you have about the industry and its operations. You can include your industry certifications, licenses and attended training programs if you have any. 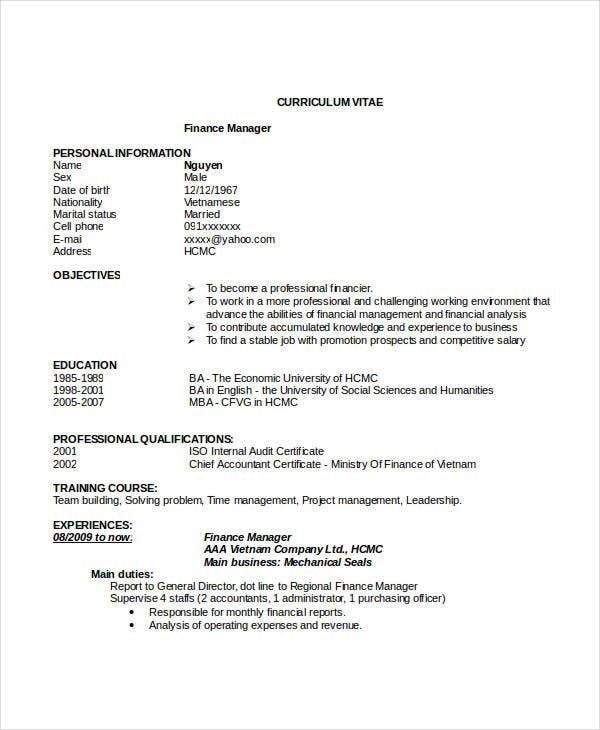 Finance resume templates will allow you to have a more professional-looking profile. 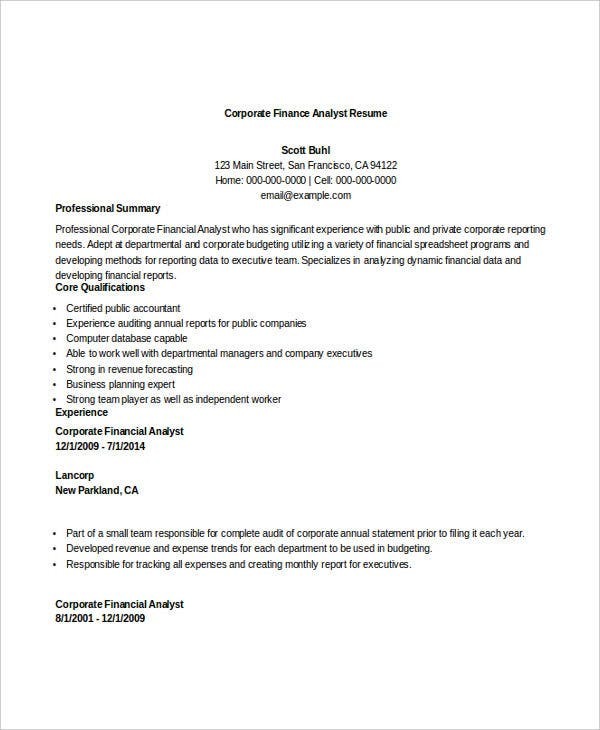 A finance resume with a corporate appeal can surely get the attention of prospective employers. 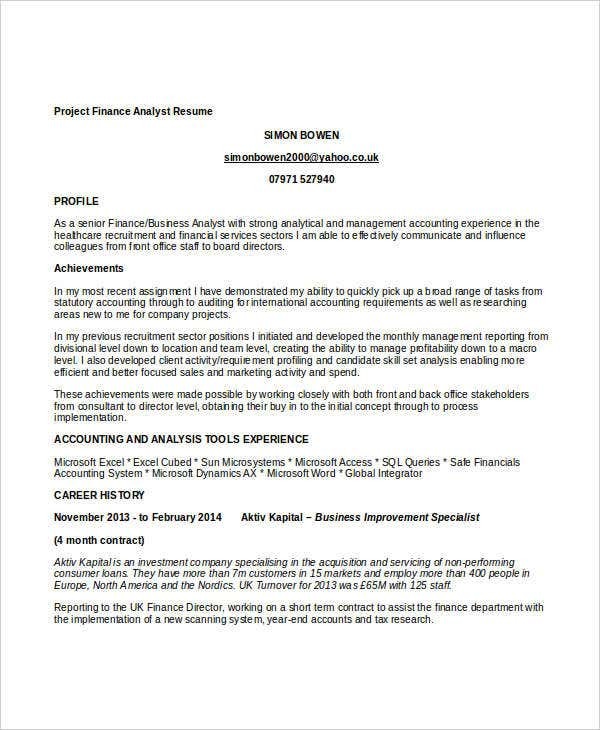 Our finance resume templates can be used in different finance job positions. 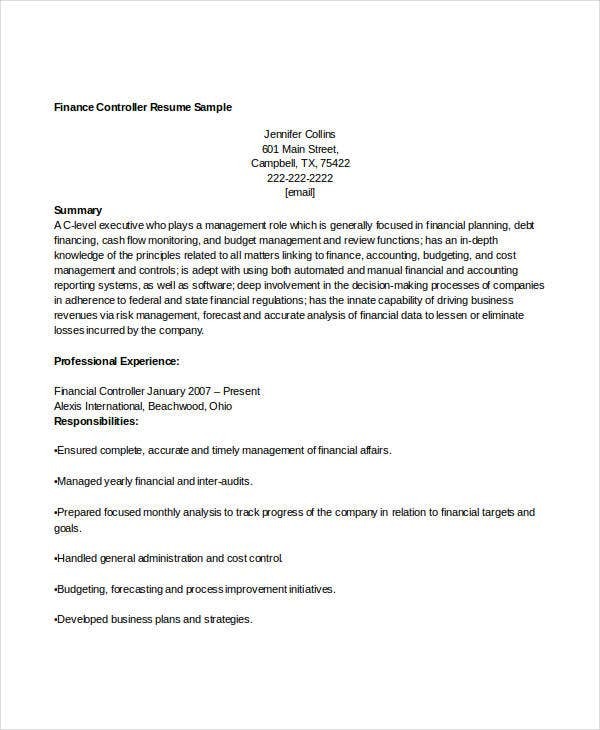 Through the use of a finance resume template, you can easily organize the content of your finance resume. 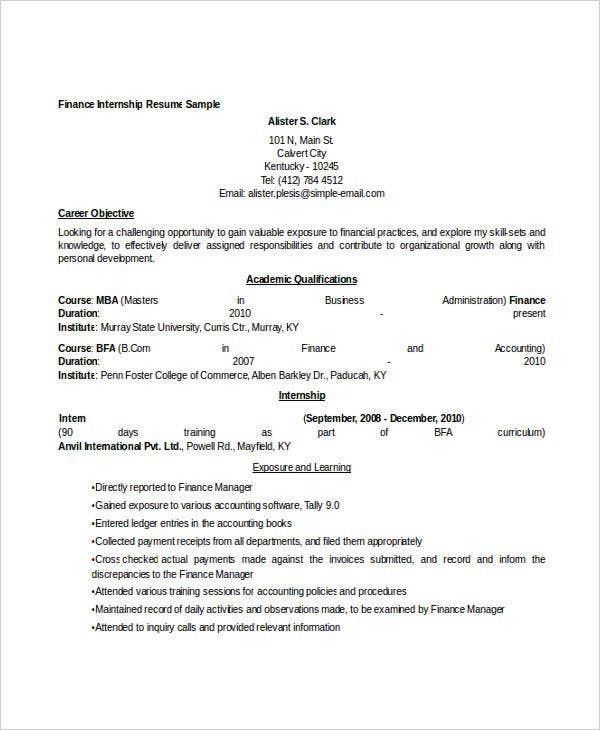 The finance resume templates that you can download from this post are already formatted for faster information placement. 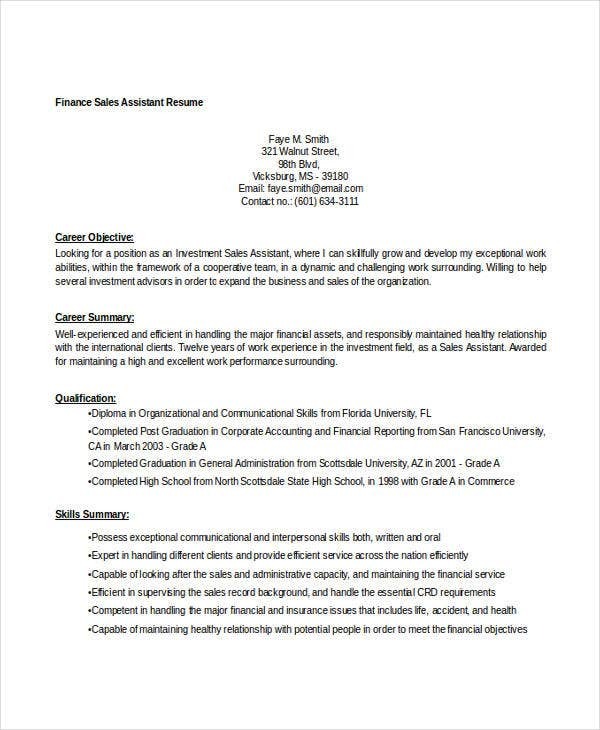 A well-structured basic resume Format can provide the needed focus on the items that you would like to highlight in your finance resume. 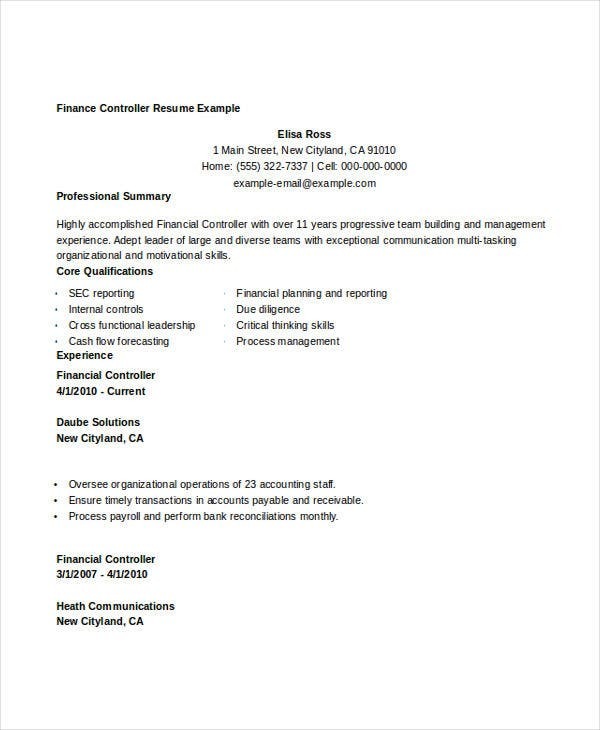 Our finance resume templates are editable and flexible with your professional needs. You have the liberty to change the elements present in the templates like font sizes, styles, and faces. 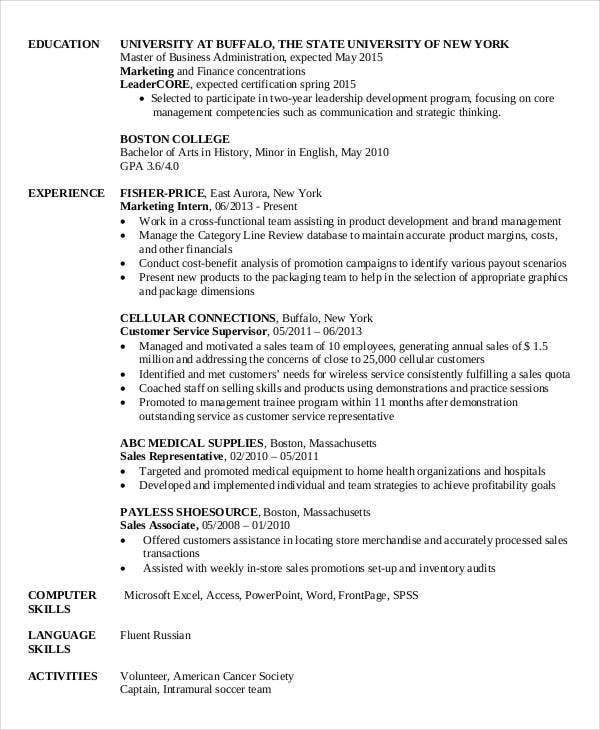 Make sure to keep the resume business-like when applying changes in its format. Aside from our finance resume samples and templates, you may also want to browse through our downloadable samples of Human Resource Resume Templates for references in creating a resume used in a different industry.